Southern Sales & Services are the UK’s largest distributor of GEA Bock mobile compressors offering both open and semi-hermetic types. Based in the south of England we have enjoyed our GEA Bock dealership for over 20 years and intend to uphold our much respected knowledge and first class performance for at least another 20 years to come. With our wealth of experience, our trained staff are able to assist you with all your enquiries. We can help you with the compressor selection process needed to meet your application requirements. 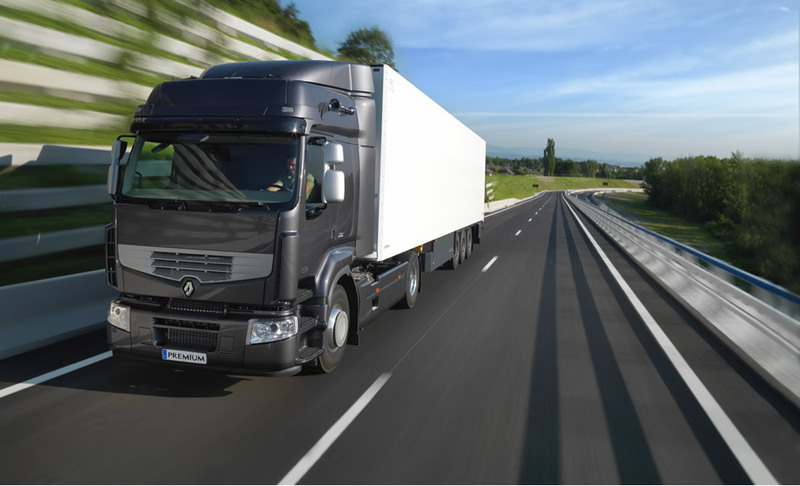 Our Industry coverage is quite impressive as we cater for all your cooling solutions, from Bus and Coach climate control to Transport refrigeration. 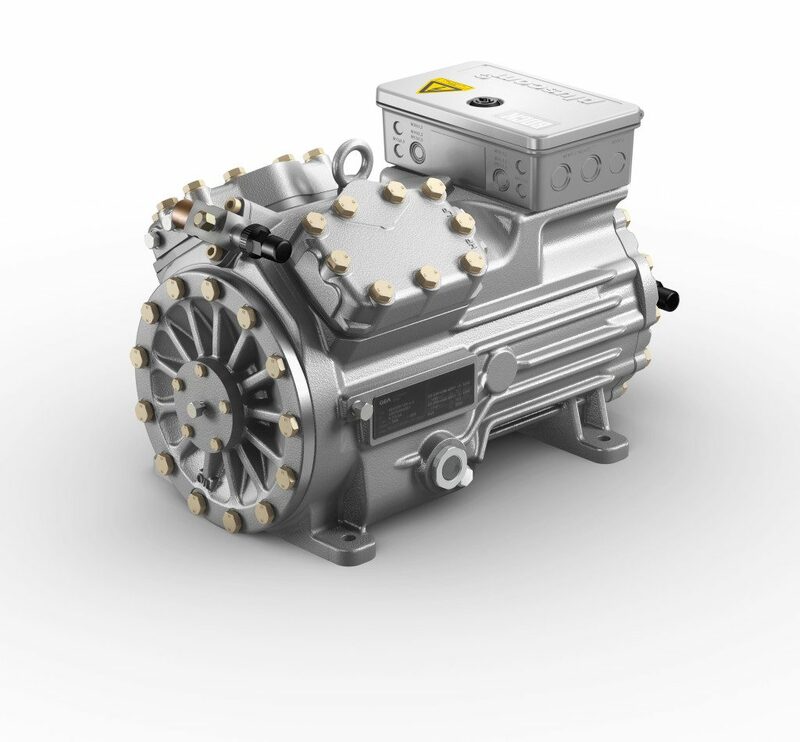 GEA Bock open vehicle compressors in the FK series are the result of decades of experience in mobile refrigeration. 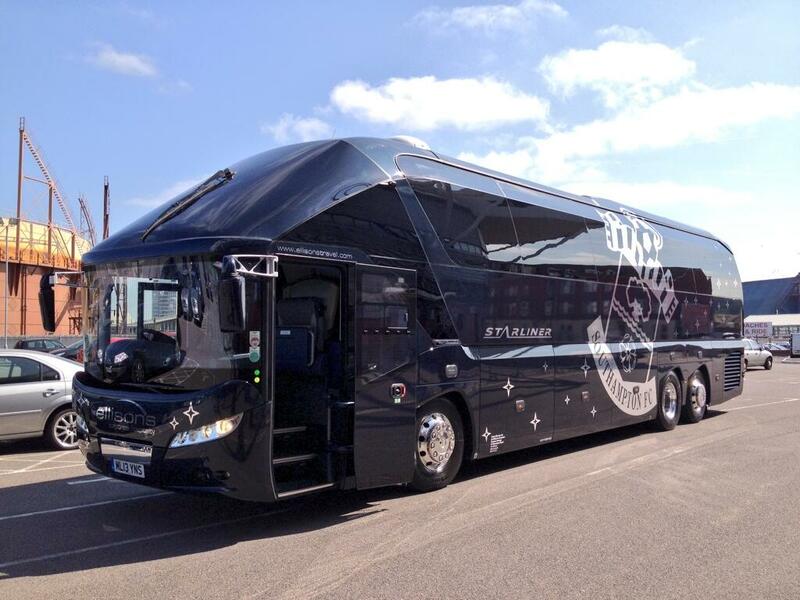 Particularly when it comes to bus air-conditioning, they are the standard of all renowned manufacturers. But they have also become firmly established in transport refrigeration and train applications together with other areas of mobile and stationary refrigeration. If you have an enquiry that you think that we can help with, then please do not hesitate to contact us by phone or through our online quick contact form at the bottom of the page. For the first time, GEA Bock presents a 3-D animation developed for training and seminars that visualizes the design and functionality of a bus air-conditioning system. The topic 3-D animation has made its way beyond the movies theatres and has established as an important and effective medium of communication in all areas of product presentation. GEA Bock uses 3-D animation already for some years for its communcation to visualize the complex technical characteristics of its compressors. To explain customers and operators of buses in the field of exhibitions, trainings etc. the functionality of the whole bus air-conditioning in an easy way, GEA Bock went even further this time and developed an animation of the whole bus air-conditioning system. In the 3-D animation, the audience takes a virtual bus tour and while following the flow of the refrigerant through the whole system, they can experience all important components of a bus air-conditioning system and how they function. The tour through the refrigeration circuit starts at the compressor and the electromagnetic clutch and then follows the refrigerant up to the condenser. The way leads over the refrigerant receiver to the filter drier and solenoid valve, then to the expansion valve and shows at the end the fans that blow the air, cooled by the compressor, into the vehicle interior and cool it. GEA Bock mobile compressors in the FK series are the result of decades of experience in mobile refrigeration. Particularly when it comes to bus air-conditioning, they are the standard of all renowned manufacturers. 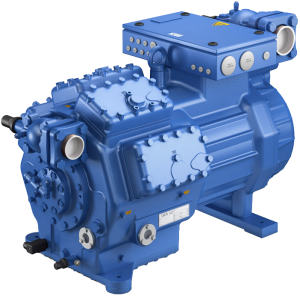 Unsurpassed lightweight, compact and robust desigh with a large speed range – these are just a few of the outstanding features of this unique product range with 2, 4 and 6 cylinder compressors. Tailor-made to the individual application with many different design versions. 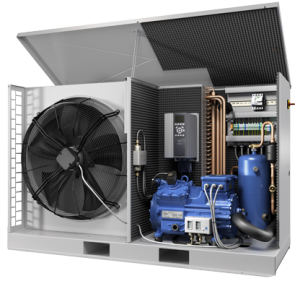 One special innovation constitutes the so-called K version with a unique valve plate system for the toughest demands in mobile air-conditioning. Based on GEA Bock mobile compressors of the Pluscom series with their outstanding advantages and features, light construction models made completely of aluminium are available for mobile use. 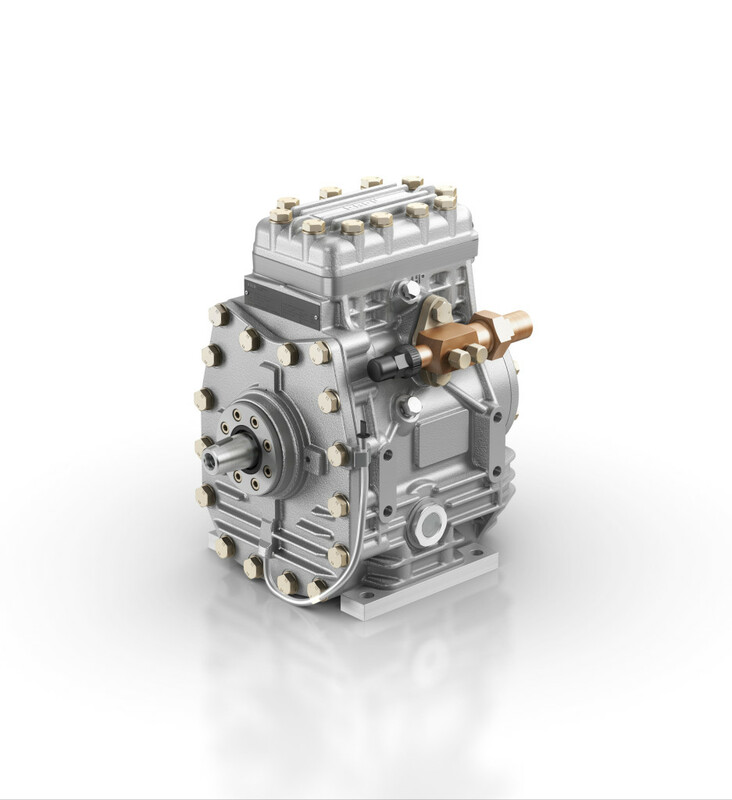 Especially for use in air conditioning systems in electrically-operated buses and rail air conditioning systems, GEA Bock also offers a special lightweight aluminium version of the semi-hermetic HG compressor for mobile applications. These compressors weigh approx. 40% less than comparable standard compressors and are available with 7 displacement levels. 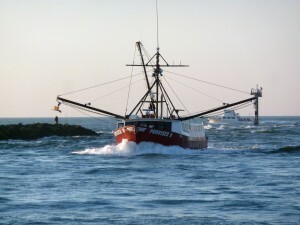 Safe and reliable refrigeration during transportation is the key to a product’s freshness on reaching its destination. For many years now, GEA Bock has been supplying the FK series GEA Bock mobile compressors to leading manufacturers of transport refrigeration systems. No matter whether the compressor is driven directly by the vehicle’s engine or from a generator. GEA Bock offers a fitting solution. GEA Bock always has the right compressor for all applications in transport refrigeration, and not only in the open-type compressor models FK20, FK30, FK40 and FK40. 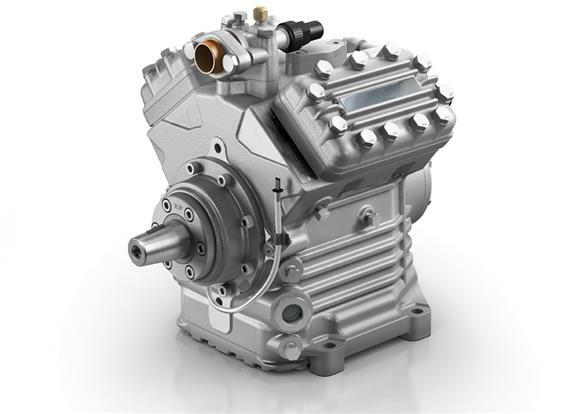 The new lightweight aluminium design of semi-hermetic compressors also provide manufacturers with compressor technology for tomorrow’s transport refrigeration systems. 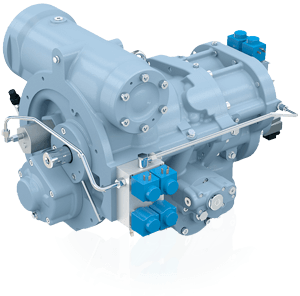 Alongside the broad ranges of series compressors, GEA Bock offers customised solutions to suit their individual requirements. GEA Bock vehicle compressors of the FK range are the result of many years of experience in the domain of mobile cooling systems. The unsurpassed light, compact, robust design and wide r.p.m. 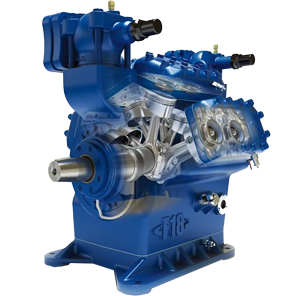 range are only some of the outstanding features of this unique product range of two, four and six cylinder compressors. A wide variety of designs can be tailored to suit individual requirements. 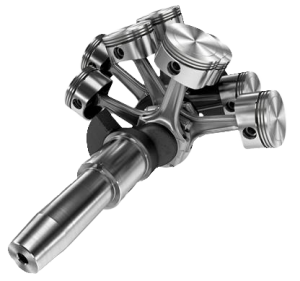 For low temperature applications, an optimised TK model is available.